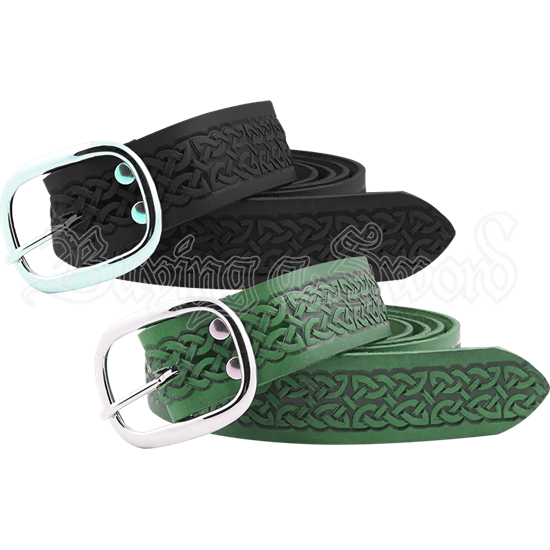 Our Celtic Buckle Belt is a plain buckle belt with embossed Celtic knotwork all the way down the belt. Just like our other buckle belts you can get this in black, brown, dragons blood red, midnight blue, or forest green, and also choose your hardware color, brass (gold) or steel (silver). This belt is made of sturdy 7/8 oz. leather. 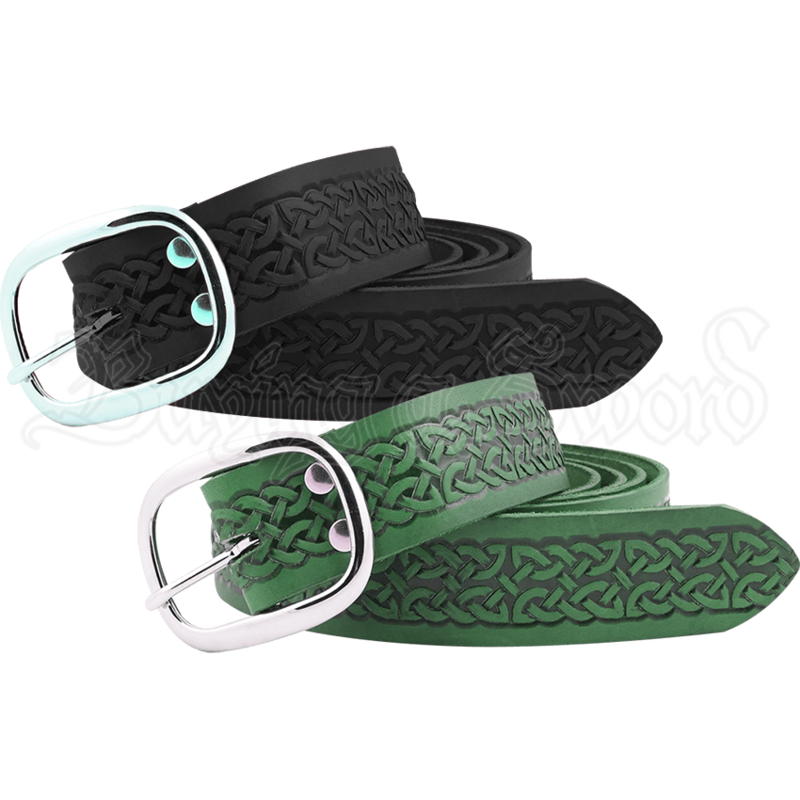 Our Celtic Buckle belt is the perfect addition to any medieval, Celtic, or renaissance outfit. This belt is available two different ways. The first is our Regular Length which is a normal buckle belt fitted to your waist size. The other is version is our Long Length, which is just like the regular length (fitted to your waist size) but with an extra 15 inches on the end of the belt. This gives the belt a great medieval look just like the ring belt but is a little bit sturdier due to the buckle. great detail for the money. well worth it.